Lock picking is a great skill that takes lots of practice and patience to master, but some locks simply can't be picked, like a Master Lock combination padlock. With a combination lock, you'll have to do it the old-fashioned way—cracking combinations. If you were to try and crack the combination dial to a Master Lock by simply trying different combinations, it would take approximately 177 hours (without sleeping or eating) to solve the combination. This trick shows you how to crack combo locks down from 64,000 possible combinations to only 100 possibilities in a fraction of the time. 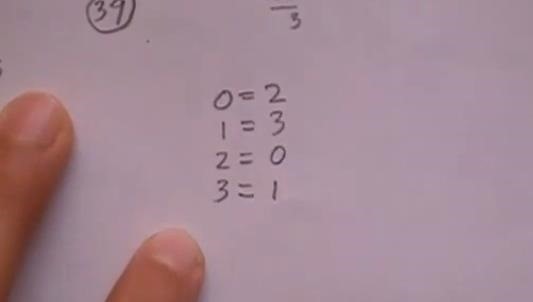 If you're not good with numbers and math, specifically division, then you may have difficulty with this technique. It sounds a little backwards, but first you need to find the last number of the combination, which is the only part of this guide where you'll actually know the exact number of a combination. 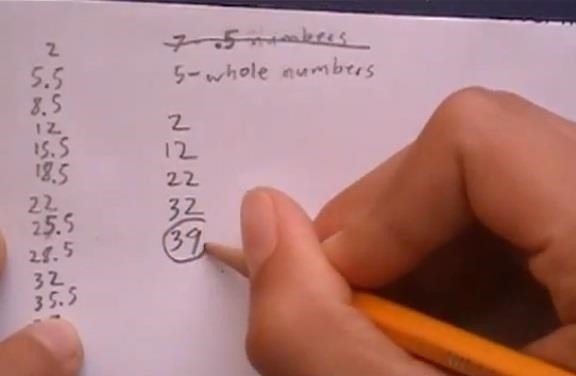 The other two numbers will have groups of possibles. Start your dial on 0. Pull up hard on the shackle and hold. It will stop in-between two positions, in this case, 1.5 and 2.5. Use the number in-between those positions and record it. In this case, it's 2. Loosen the shackle a bit and turn the dial counterclockwise until you just pass the first group of numbers, in this case 2.5. Then pull and hold the shackle again and continue turning the dial. Again, it will stop in-between two positions, in this case 5 and 6. In this case, it's 5.5. Repeat this process in the counterclockwise direction until you reach the end of the dial and have 12 numbers recorded. In our case, these numbers are 2, 5.5, 8.5, 12, 15.5, 18.5, 22, 25.5, 28.5, 32, 35.5, 39. 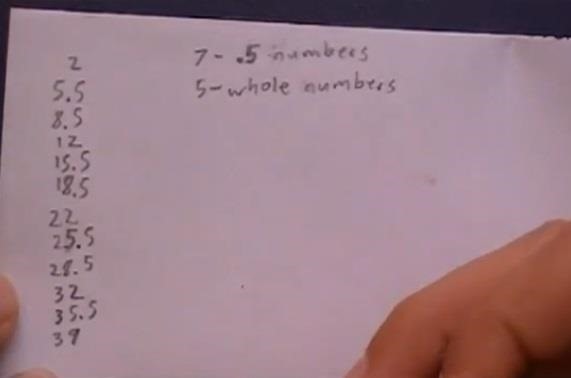 There are 5 whole numbers and 7 fractions. Disregard the fractions and concentrate on the wholes. So, we now have 2, 12, 22, 32, 39. They all end it 2s, so look for the odd one out, which is 39 here. This is the 3rd number to the combo. 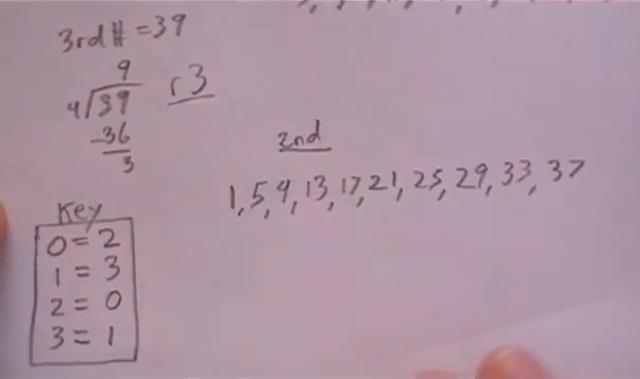 Now we can start working on the first possible number of the combination. Divide the 3rd number of the combination we discovered back in Step 4 by 4. In this case, it's 39 ÷ 4 = 9.3. The important part of the number we just figured out is the remainder. In this case, it's 3. You'll want to add 4 to the remainder, and keep adding 4 until you reach the highest possible number on the dial. In our case, it would be 3, 7, 11, 15, 19, 23, 27, 31, 35, 39. 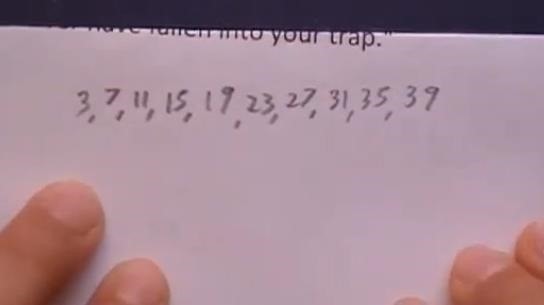 These 10 numbers will be your possible number for the 1st number of the combo. Now we can start cracking the 2nd number of the combo. Now, we need to use the remainder again from the last few steps. In our case, it's 3. However, it will be different for you. When you divide a number by 4, you'll get a remainder of either 0, 1, 2, or 3, and you'll use the key below to determine which number will be your starting point for the next group of possible numbers. So, in our case, we start with 1. Now, take this number and add 4 and keep doing so until you get to the highest possible number on the dial. In our case, we have 1, 5, 9, 13, 17, 21, 25, 29, 33, 37. These 10 numbers will be your possible number for the 2nd number of the combo. Now, just try them all out. We'll start with 3, 1, 39. First, clear the Master Lock by turning the dial multiples times clockwise. Then head to your first number you're trying going clockwise. Then turn it counterclockwise past the second number you're trying, and rotate the dial until you reach that number again and land on it. So, in our case, we pass 1 once, then land on 1 the second time. Then turn clockwise to the last number. Now, all you have to do is keep trying all of the possible combinations from your groups of numbers until you found the right one. Ours eventually ended up being 19, 33, 39. How did this method work for you? If you're looking for a more forceful way of breaking into a Master Lock combination padlock, you can try using a beer can shimmy or drilling a hole in it, but if you like math, the above method works just fine. you lost me at remainder...sorry. oh myyy!!!!!!! i just cracked my combination lock in less than 5 min. hold the handle and kinda pull it up while rolling the combination button start with 0, 5, so forth. after couple ounds, you will feel pressure/heavy to roll the button on some numbers. 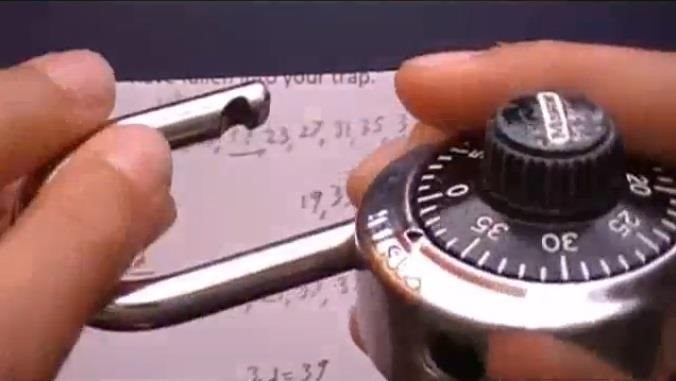 write those possible numbers and try to work on it using the way on how to open a lock as usual. fyi. for a reg lock, the comb # start with 20s up/30s up, followed by 1s up-10s up or 30s up or vice-versa. gud luck! 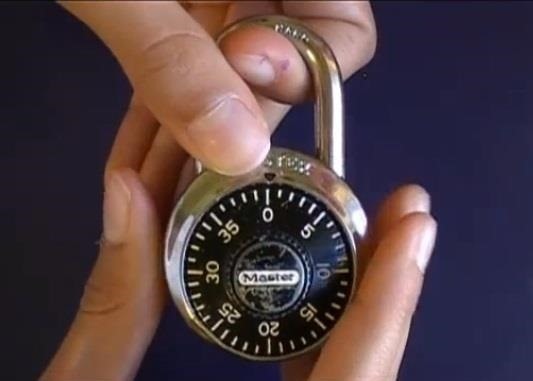 Using this method, I just cracked my Master Combination Lock that I last used more than 7 years ago. Have to be very patient. Figured out the combination at the 60th try. Master Locks can be even more easy to "crack". Hitting it with a hammer has always worked for me! This is really neat. Thanks for putting it up. Until now my choices were a Dremel tool or a 30-06. This is much better. This totally worked!! At first I was skeptical because my step 4 number had 2 odd ball numbers. So I tried one without any luck and went on to the next one and voila!! Thank you so much for posting this!! I haven't used this lock in years and I thought it would be silly to just toss it and buy a new one.